Whether you are an experienced forklift operator looking to advance your career or just looking for your first job, it makes a lot of sense to get yourself an OSHA forklift license. The Occupational Health and Safety Administration (OSHA) requires all forklift operators to be fully trained to its standards. If OSHA inspects a premises and finds untrained and unlicensed operators driving powered industrial trucks (PITs), they are in a position to levy heavy fines. When an employer is looking to hire new forklift operators, the ones that show a forklift license will be hired on first. Operators with forklift licenses earn higher wages. An OSHA forklift license requires three separate parts for forklift license training, including learning from a book, practical training and a hands-on evaluation conducted by the employer. Once you have completed your training and have your forklift license, another forklift license requirement is that you undergo refresher forklift license training every three years to renew your OSHA forklift license. 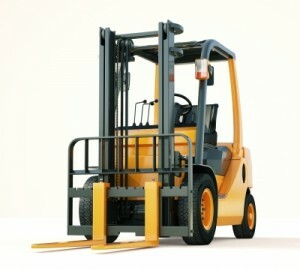 Formal forklift license training can take place in person with lectures and discussions, interactive computer learning, video/DVD or learning from written material. Here, the emphasis is on forklift safety. Every three days, someone in the United States dies as a result of a forklift accident. Careful analysis has shown that most of these incidents could have been avoided had the operator been properly trained. The practical phase of forklift license training includes demonstrations by the trainer and practical exercises conducted by the trainee. Each type of forklift truck has different features, limitations and operating characteristics. For this reason, it is essential that the practical training take place using the types of vehicles that the trainee is going to be working with. The third and final phase of training for an OSHA forklift license, hands-on evaluation, ensures that the trainee receives and understands the instruction and can apply it to operate a powered industrial truck safely. OSHA also requires that holders of a forklift license undergo refresher training and recertification every three years in order to retain their forklift license. This is in order to keep pace with changes in relevant legislation and to keep safety aspects of forklift operation at the front of the brain. Some of the golden rules of forklift safety are the opposite of what comes naturally. For example, a major cause of PIT fatalities is the vehicle tipping over. When this happens, the natural instinct is to leap out of the vehicle and get as far away as possible. This is precisely the opposite of what the operator should do, which is stay in the vehicle and remain under the protective canopy. Regularly scheduled retraining gives operators a kick up the backside to remember this vital point. CertifyMe has been helping operators get forklift licenses for more than 20 years. Whether you are a novice operator with no experience or a seasoned pro looking to make your resume look better and advance your career, we can help you quickly, conveniently and at a surprisingly low cost.